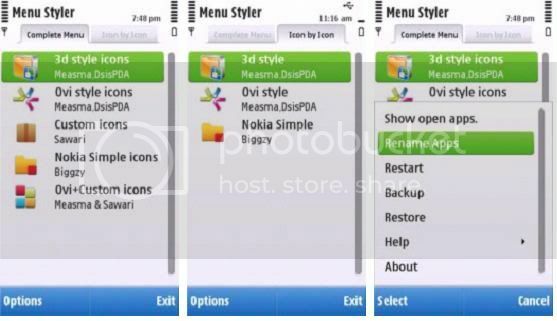 It’s a complete menu customization utility developed in python by Measma, DsisPDA. Updated the whole UI of application. Icon by Icon a new facility added. 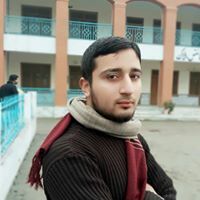 What is Icon by Icon? 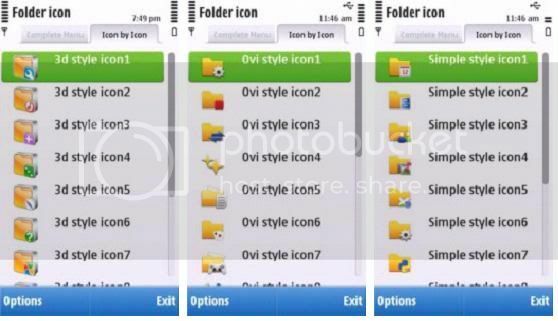 Icon by icon is a facility by which you can tweak your existing menu by replacing the folder icons and their name. At present 3 Icon by Icon styles are embedded. 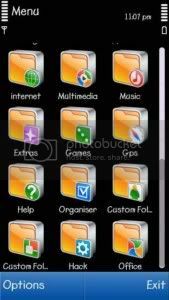 Choose any one, then whole list of folders in your phone appear. Select the folder whose look you wish to change. You can rename the folder too. 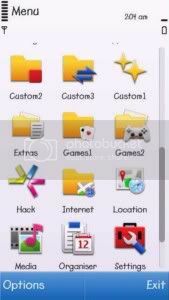 Then list of icons will appear choose the icon you like and then restart your phone. 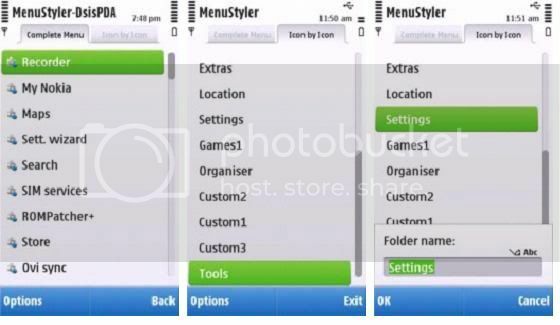 This is the traditional menu styler, which changes whole look according to the style selected. 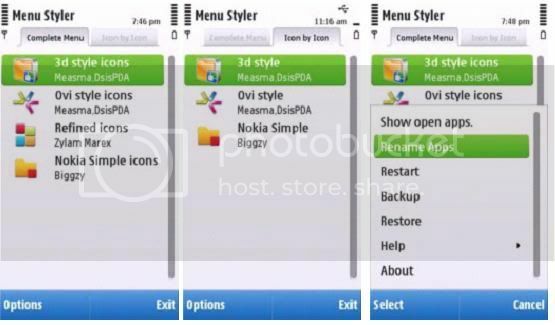 PS: The whole menu and icons position change by applying this. +1 with python and wirtual keyboard it works fine in s60 v5 ....could it be possible to put more icon styles in it if you add them in the folder where the 3icon by icons are kept(C:\Dotsis\)? if so they should be in shoult they be in .mif format?